SURF CAMP LOMBOK – Coming Soon! Surfing in Lombok is pretty spectacular and relatively uncrowded, considering how it’s just a stone’s throw away from Indo’s surf capital, Bali. The surf is consistent throughout the whole year, the scenery is out of this world, the food and accommodation prices are refreshingly low and most spots haven’t yet been affected by mass tourism. 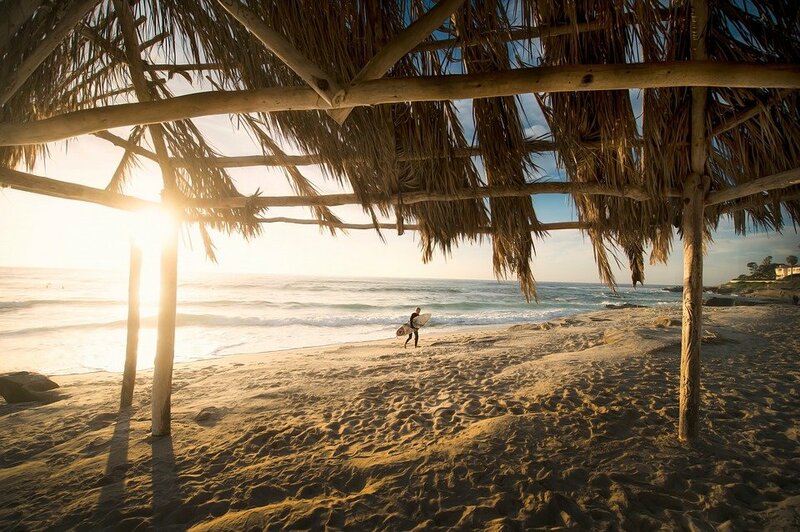 The only place that you will never see empty is the famous Desert Point, but this is hardly surprising when surfing that break is on most surfers’ bucket lists. The southern part of Lombok is where most of the surf spots are located. Surf Spots in LombokTravel Time and Travelling in LombokWeather, Climate and Water Temperature in LombokThe History of Surfing in LombokCulture in LombokSurf Events in LombokFood in LombokTop 10 Lombok HighlightsWhy Surf Holidays with Planet Surf Camps in Lombok? Aka “Best Wave in the World,” as decided by Tracks magazine’s readers is a legendary break with famous barrels that unfortunately are pretty tricky. You may get weeks with no waves at all, but you may also get 10-20 second long barrels that are guaranteed to be worth the wait. The waves break left over a reef bottom and the best ones occur mostly from May to October. Surfing this break is a surfer’s dream, but that doesn’t mean it’s easy. It requires very specific conditions (Swell SW, Size 5 – 15ft, Wind SE, Tide Mid – Low,) but even then it’s really sensitive to tide changes, sometimes you’ll get a huge swell, but the ocean will still be pancake flat. To make it even trickier, the local vibe is quite tense from the influx of surf tourists overcrowding the area and the point is pretty hard to access. Desert point can be accessed by boat or by land, but it’s much easier to approach by water. This break is recommended for experienced surfers and spectators only. Contrary to Desert Point, this huge bay is well suited for any kind of surfer. It’s much more relaxed, the locals are much more chilled and the place is not too crowded, plus it offers a couple of different waves. They are all only accessible via boat, but charters are a super regular thing and they’re not too expensive either. Inside Gerupuk/Bumbang Bay – one of three rights, it breaks over a reef bottom and is suitable for any and every kind of surfer. If the swell is SW and big, this spot is pretty perfect for a relaxing surf. There’s also usually no wind, as the break is proteted by hills, so the waves are consistent and reliable. Outside Gerupuk/Gili Golong – the second of the right-handers, surfable at any tide, but make sure to take protective footwear at low tide because of the sharp reef bottom. Waves reach 10ft, but they’re actually best at 4-6ft. Don-Don – a tall A-frame peak that breaks on both sides. It’s good for all surfers and it’s pretty consistent. It works with any wind (as long as it’s light) and with any tide. The only tricky thing is that it requires a big swell to break. But when it does, hello gorgeous fun waves. Kid’s Point/Pelawangan – the last of the three right-handers. Similarly to Don-Don, it only breaks on bigger swells, but you won’t want to miss the barrels that appear on the best of days. The best conditions to surf this spot are during an incoming tide. Kuta has evolved to become quite the must-see place on Lombok. It’s a small tourist-oriented village in the South of the island. People come here mostly for surfing purposes, but also increasingly often for honeymoons and romantic getaways. Kuta offers a right and a little left breaking over a reef coral bottom, both of which are suitable for more experienced surfers. Best conditions for surfing Kuta are: Swell S, Size 2 – 6ft, Wind N, Tide All. 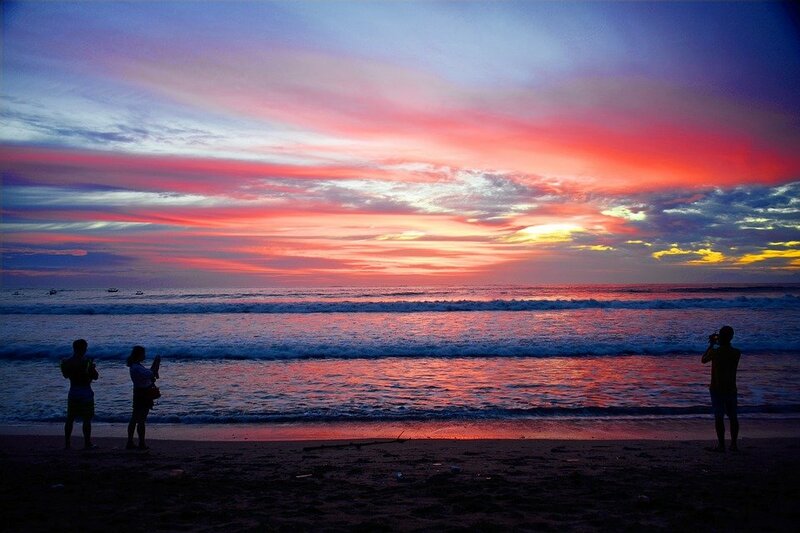 Basically, if you’re in love and you surf, Kuta is the place for you – perfect balance between romantic spots and great surfs. this bay houses a coulpe of good waves suitable for most surfers. Outside Ekas – the mamma wave of the bay, better suited for experienced surfers. It’s a powerful left-hander that reaches 10ft and works bes on mid or high tides and a SE wind. Inside Ekas – the baby wave. Anyone can surf it and everyone will enjoy the long breaks. It’s a playful peak that often forms cute barrels. For them to form though there needs to be a large swell and SE wind. Low tides for the right, higher tides for the left and holds 12ft plus. Both waves break over a reef bottom and are accessible via surf charter boat. A big SW swell and SE-E wind will do the trick for these two spots. Easily accessible from land and water, this break is an awesome right-hander located on the Southern coast. During mid and high tides this spot produces barrels, which is why it’s more suitable for advanced surfers, but there’s also a left on the other side that is pretty easily surfable when small. Best conditions are: NW winds, 4-6ft, from October to April. Just outside Kuta, this right-hander breaks over a reef bottom and occasionally also forms a smaller left. This spot is best with smaller swells and during mid tides. A NW wind between October and April usually works best. A two-faced, temperamental one, she is. During a little swell, this spot produces a sweet peak with short rights and lefts, but at above 6ft Mawi will become unrecognisable. There will be barrels, big, heavy ones that at 8-10ft may scare you out of the water and continue to grow. Mawi is best behaved on mid tides, a SE wind and in the period between May to September. For more information about the surf spots in Lombok check out Surftravel and Wannasurf. Lombok is ready for visitors throughout all the year, but the most famous, the most breathtaking barrels in Desert Point are best between May and October, so you may want to come then. There’s only one airport in Lombok, the Bandara Internasional Lombok and it’s just 40 km South of the capital city Mataram. It’s also possible (and probably easier) to fly to Bali and then pay around $33 for a 25 minutes flight to Lombok. For more information visit Skyscanner. The main airlines on the airway are Silk Air that flies between Singapore and Lombok three times a week , Garuda Airlines which flies between Kuala Lumpur, Lombok and around Indo’s islands every day, Lion Air, Merpati Airlines and Trans Nusa Air. 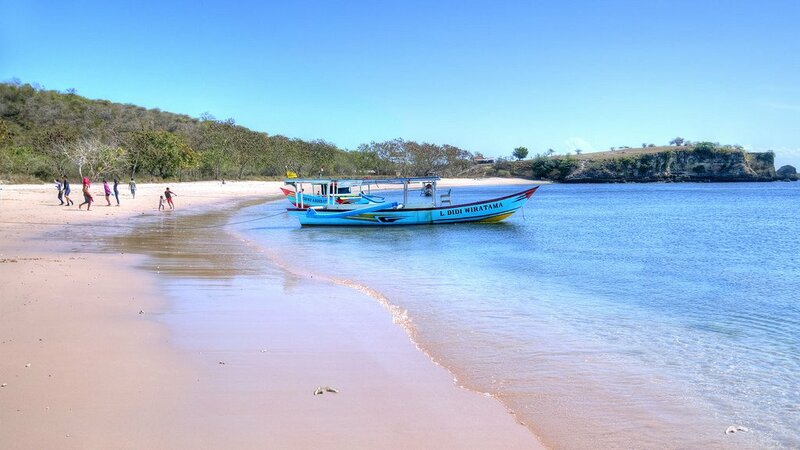 There is a constant, direct ferry line going from Padang Bai harbour in Bali to Lembar harbour Lombok. The tickets can be bought directly in the harbours. It’s an alternative to flying, as it takes relatively the same amount of time. If you don’t get seasick, this may be a good option for you. Check out Lowpressure and Lombok Tourism. 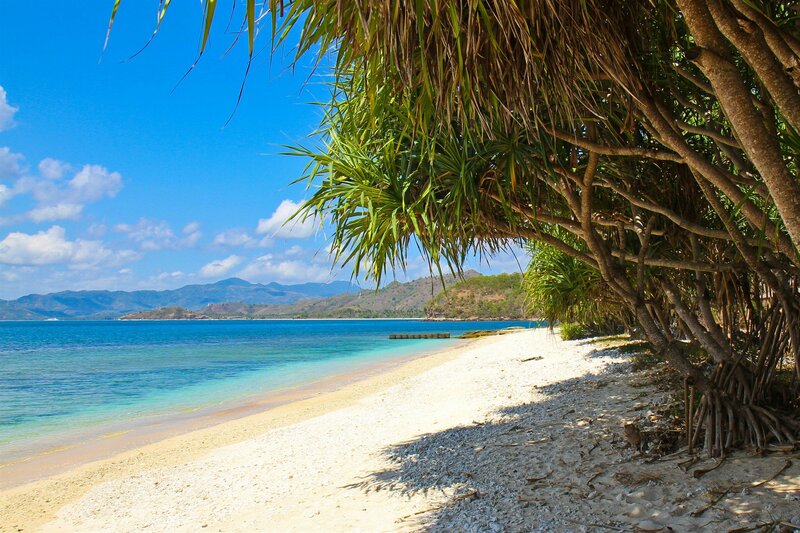 Lombok lies just under 400km from the equator, so it gets the classic tropical climate and high humidity as well as two distinct seasons – wet and dry. Wet season occurs from October to March. Lombok gets most of its rainfall in this period and tropical storms are to be expected. The dry season is from April to September, but even during this time rain is possible, just much less heavy than in the wet season. The weather is much more sunny and warm in the dry season, but waves occur all year round and the average temperature is 30 degrees, so there is really no bad time to go on a surf trip to Lombok. May to July is considered the perfect time to visit due to the warm weather and January to February is discouraged because it gets way too hot to feel comfortable. Water temperature remains a constant 28 degrees all year, so don’t bother with a wetsuit, maybe just a rash top to protect yourself from the reef bottom. Even though the surfing conditions are amazing in Lombok, there are some precautions you should keep in mind. Consider bringing booties and a rashie to protect yourself from the shallow reefs. Apart from that, watch out for strong rips and big waves, especially in Desert Point where it’s really crowded during the main season. Tourism is the second largest industry in Indonesia and even though there is no data to document exactly how many of these tourists are surfers, judging from people’s stories and how popular Indonesia is becoming in the surfing world, it’s safe to say that surfing brings a lot of profits to the economy. Surfing has actually brought people to little islands and secluded spots that otherwise would’ve probably remained untouched. Now, whether that’s a good thing or not is debatable. Lombok itself has really taken off as a surfing destination only in the last two decades. The island’s economy crumbled between 2000 and 2005 when Muslim protesters caused ruckus in the streets and then after the Boxing Day Tsunami in 2004. The influx of surfers visibly shrunk during that time, but it’s been growing steadily ever since. The surfing conditions are such, that any level of surfer can find something for themself, so it’s not surprising that Lombok attracts surf camps, surf schools and just surf tourists in general. Plus, the island is home to one of the most famous waves in the world – Desert Point. Find out more about the topic on BBC. Locals in Lombok are predominantly Muslim. Even though most of them speak English, efforts to speak their own language, Bahasa Indonesian, are well appreciated. 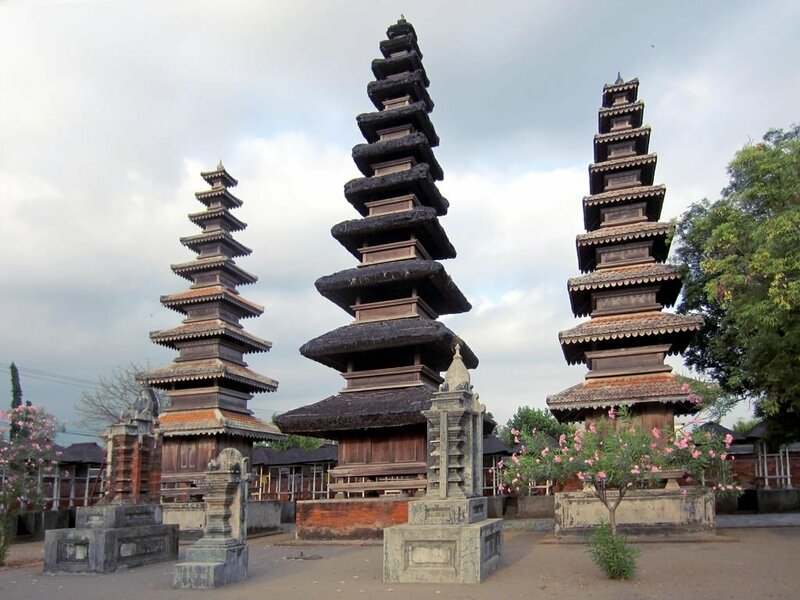 People appreciate a calm and quiet atmosphere, which may be the reason why the island is less popular with tourists than its neighbour, Bali. 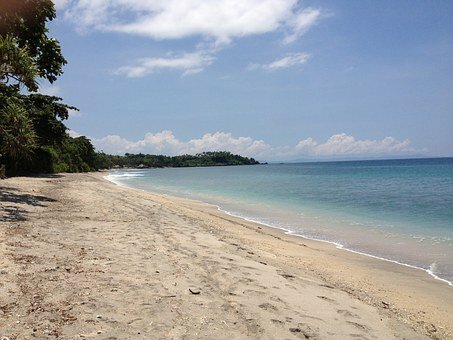 Life on Lombok is peaceful and slow, so if you ever need a place to hide out from the real world, you know where to go. 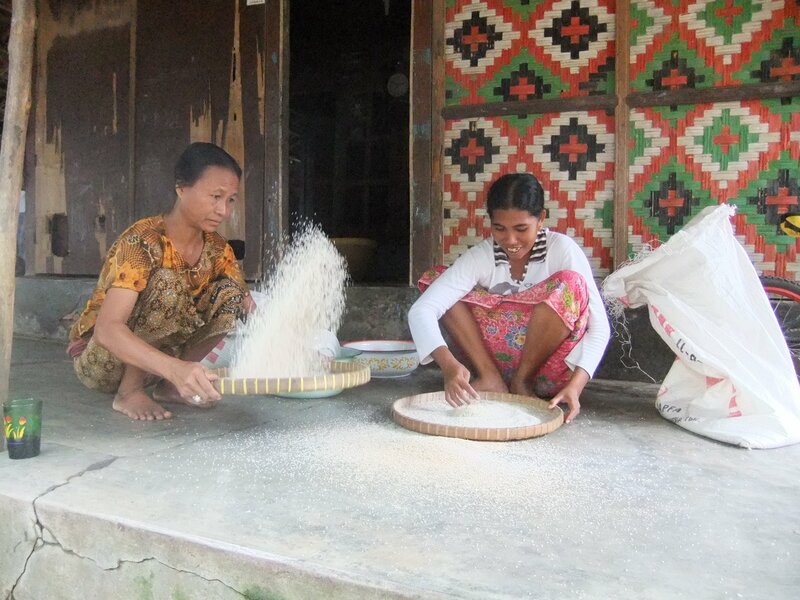 Lombok has had remarkable success in preserving its traditional Sasak culture throughout the years. 85% of the island’s inhabitants are indigenous Sasak people, who anchor the culture in its rich past. Despite this, the people have been described as generous and helpful, especially for tourists who respect the island (nature tourism, surf tourism.) Many locals have small board rental businesses and it’s also quite easy to find surf guides amongst locals. Although there is a visible Muslim majority, Hindu culture is still noticeable amongst locals. There are many small villages all around the island where the Balinese Hindu travellers live. In these towns, Hindu ceremonies and traditions are practiced, so you can really feel the culture clash that this island houses. 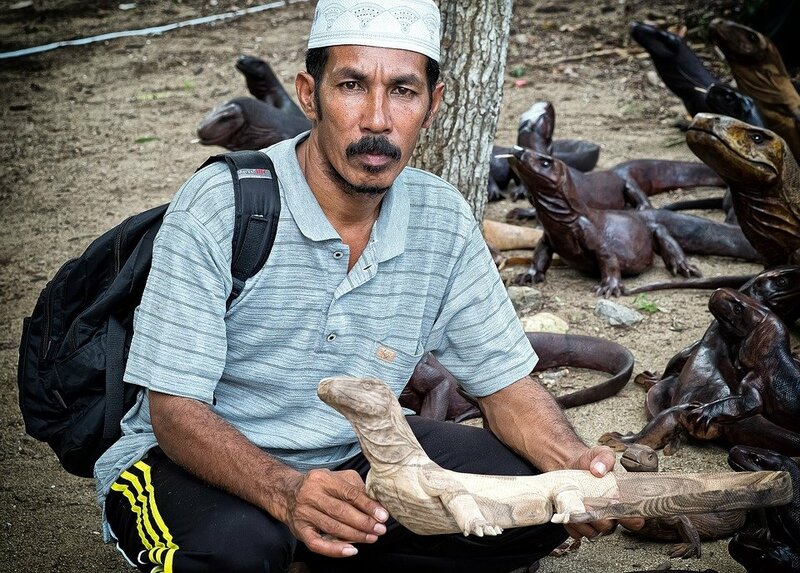 Apart from these two main religions, animist beliefs and traditional magic is widely popular on the island. Magic spells are cast by a Dukun, local magician, to protect people from evil spirits and sickness. These magicians are well respected and they recieve money or gifts for their services. In terms of health and safety, there is a serious theft problem unfortunately, so if you bring a padlock with you, kudos. Also, be prepared to tip a security guard to keep a watchful eye on your car/scooter. Another problem is malaria, which is widely spread on Lombok. Bring bug-repellant spray and sleep under a bed net just to be super safe. You don’t want to bring anything other than good memories back home with you. Due to Lombok’s size there aren’t a lot of surf events on the island. Although two of them are pretty famous. When you’re on Lombok don’t miss out on the Rip Curl Gromsearch tour stop on 22th to 23th April and the Indonesian Surfing Championships that spread surfing’s popularity across Indo’s many islands. Taliwang chicken – Lombok’s traditional dish. 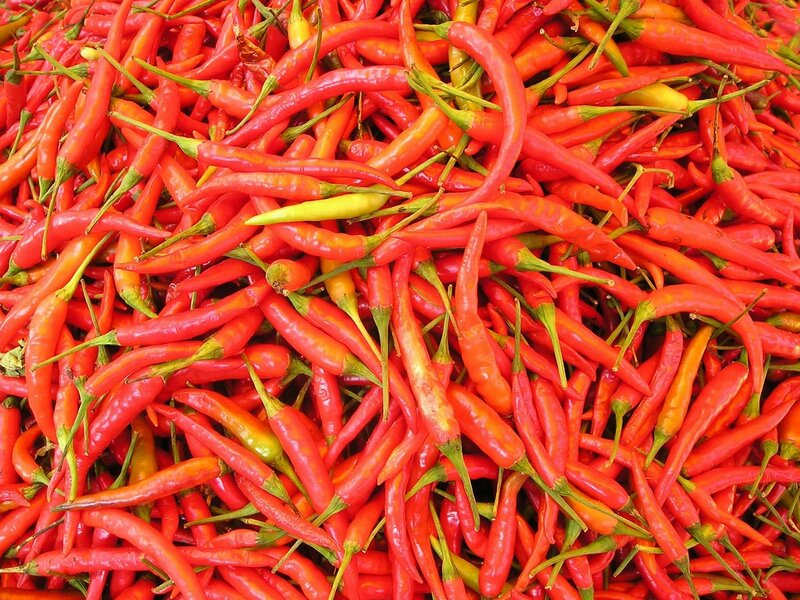 Chicken spicede with red chilli, garlic, red tomatoes, shrimp, sugar and salt. Plecing – boiled kale and spinach with tomato sauce and chili pepper. Satay Rembiga – a must-have on any traditional menu in Lombok. Grilled beef on bamboo skewers served with veggies and rice. Bebalung – cow or goat rib stew. Sate Ikan Tanjung – Fresh local fish served with coco milk, garlic, onion, chilli pepper and lemongrass all skewered onto a stick and grilled. Ares – a rice-based curry dish prepared with coconut milk, fish, beef or chicken, banana stem and spices. This breathtakingly beautiful active volcano last errupted in 2010, so please check volcanic activity before you decide to climb it, but it’s definitely worth a visit. The best time to do it is between April and December as there’s a smaller chance of heavy rainfall. 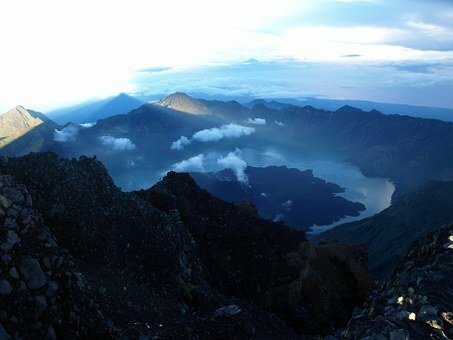 Mount Rinjani National Park is inaccessible between January and March precisely because of the dangerous rain. The perfect instagram picture place, Mount Rinjani Resort offers a pool on the mountain edge that overlooks the whole island. An after surf dip in this pool and you’ll feel like the master of the world. 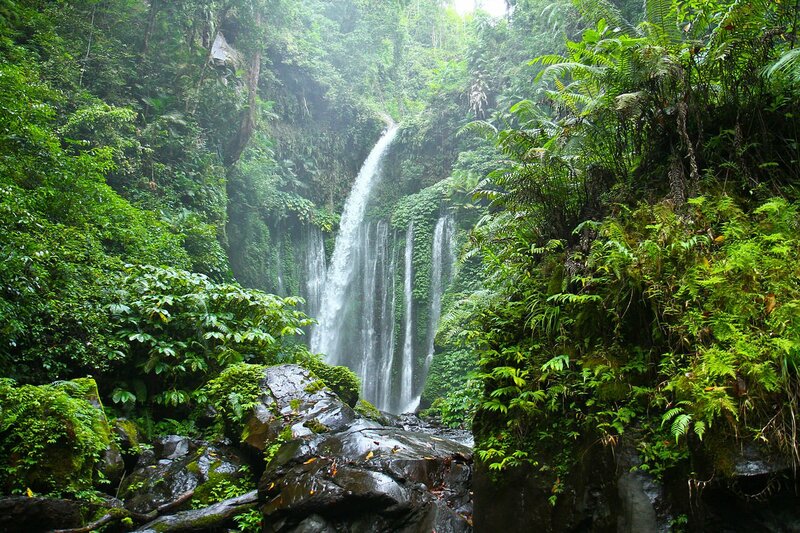 Lombok has beautiful waterfalls all over the islands, so if you ever go exploring, be sure to ask the locals about the waterfalls. A natural phenomenon worth checking out. A waterfall-into-the-ocean effect resulting from huge waves crashing onto rocky cliffs and then falling back into the water. It’s unlike anything you’ve ever seen. Contrary to popular belief, pink beaches are not always photoshopped. Thanks to a specific reddish type of coral, the dreamy beach has a cotton-candy pink colour. 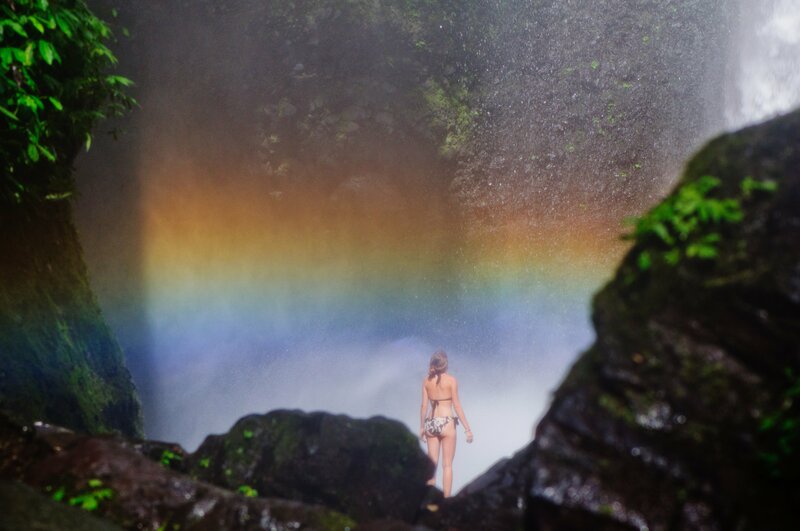 Naturally occurring hot springs that will cure any post-surf soreness and wipe any frown off of your face. If you ever feel like taking a day off from the beaches, we highly recommend you check out the traditional markets with fresh veggies, fruit, spices, fish and meat and artisanal produce. A good one to visit is the one in Ampenan. It’s quite cheap, not too crowded and not many tourists know about it. If you’re into architecture, don’t hesitate to visit the gorgeous mosques in Pura Gunung Sari or Pura Suranadi. Since the public transportation isn’t always completely reliable, renting a motorcycle and exploring the island on your own agenda may be your best bid. In the smaller villages around the islands you will find amazing artists selling their crafts in small shops or outside their homes. What better way to support the local economy than by buying a gorgeous traditional vase or plate from a native potter? Why Surf Holidays with Planet Surf Camps in Lombok? As if the name Lombok itself wasn’t exotic and inviting enough, the island offers a cheaper and less crowded alternative to Bali, Indo’s surf capital, with similar surf conditions. Lombok produces consistent waves all year round and a distinct dry season when it’s recommended to visit. It’s peaceful, quiet and offers the perfect escape from the everyday rush. These conditions make it an amazing spot for a surf course or surf holiday with Planet Surf Camps. 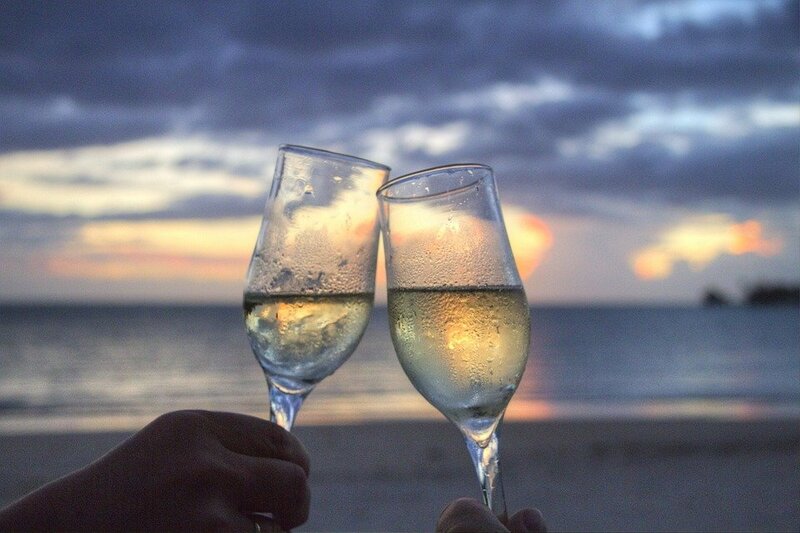 The island is also pretty perfect for a romantic getaway – it’s becoming increasingly popular with honeymooners who want to mix their chill time with surfing the best of waves down at Desert Point. There’s also a wide variety of activities other than surfing you can do around the island like climbing, exploring the breathtaking nature, getting to know the traditional cultures and ceremonies of the local Sasak people and there’s great quality food to satisfy even the most picky of palettes. 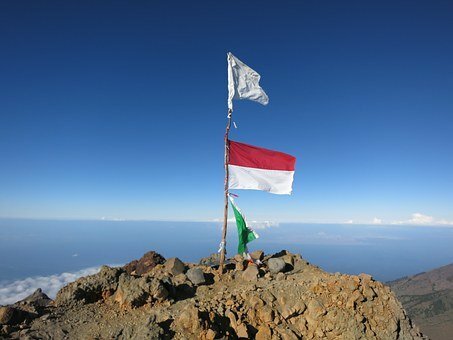 Lombok is that kind of rare place that offers something for everyone, with a mix of religions, cultures, the untouched nature vs the world-famous Desert Point, the flat paddy fields vs the active Mount Rinjani, the gentle surfs vs barrels in various spots, the quiet and secluded waterfalls vs the fancy mountain-top resorts. Lombok’s never heard any complaints!